In our fast-paced lives, we easily lose interest over things that are repetitive and usual. Gone are the days of long family vacations, picnics and day outs. We are always in the lookout for things that are innovative, unusual and extremely unique in its very own way. Neither do we have the time to relax and recharge our drooping selves nor do we have the scope of getting long spans of leave in this age of cut throat competition. This is where you need a day to relax, enjoy and spend some quality time with your loved ones in the snow theme park in Goa. The best thing about the snow theme park is its strategic location. It is situated in a popular and iconic location of Goa which is just a drive away. This makes it one of the top 10 places in Goa that one must visit. 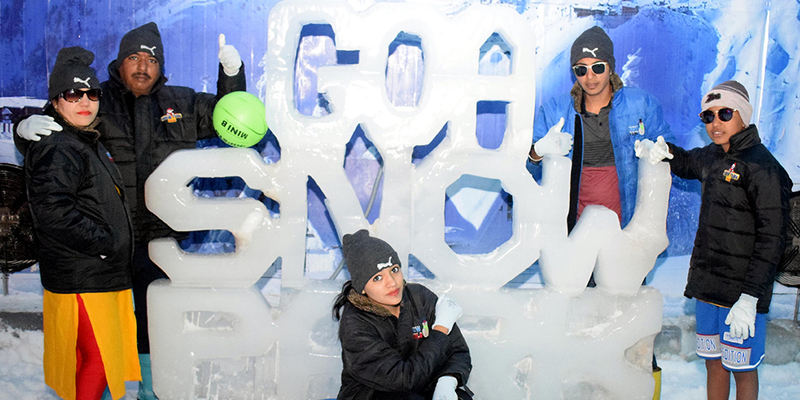 The usual amusement parks are now a thing of the past, this brand new innovative snow theme park in Goa is something that you must experience. This is rightly designed to give you a day full of laughter, memories, sports activities, fun rides and a lot more. This snow park is perhaps noted as the top ten places of Goa that one must visit not only on a day out but also on a vacation because the mind-blowing theme is something that is hardly found. Moreover, the best part is that this place is uniquely curated and all the rides are safely installed keeping track with the world-class state-of-art features. This makes the snow theme park the best hunt for kids as well for the adults. This gives every grown up an all new chance to get back and relive their childhood once again. Jump, smile, run and play with your loved ones in this beautifully designed snow theme park. Make memories in this much coveted snow theme park, which has been gaining popularity for quite some time. Our sole aim is to gift you a day filled with laughter and all smiles. Just for sometime keep aside all the gloomy stuffs and find the days of all play and no work in this snow theme park in Goa. Enjoy the mouth-watering dishes at our food court while reliving the past memories and making the new ones with your loved ones and friends and family. The fun rides come next to fill you with the much needed thrill. So, what are you waiting for? Just find a day and drop in. Find the long-lost kid in you in the snow theme park of Goa, which has been consistently holding up its place in the top 10 must visit places in Goa. You Must Know Travels To Know Life!